Over time, trees that once were beautiful things to look at can become a nuisance. If left unattended, they can “branch out” in all directions and perhaps become a danger to you or your home. They can be especially dangerous if they have a disease that causes parts of them to rot or decay, or if they are too close to your home and capable of spreading fire. In these cases, an arborist in Gippsland can help you assess the tree in question, and formulate a plan to prune it back or remove it altogether. Gippy Tree Services in Gippsland are the tree professionals you’re looking for and can get directly to the root of the problem by performing tree hazard inspections and providing quality advice. If deemed necessary, as a fully qualified arborist in Gippsland, we can also remove trees completely, including removing the stump and all the waste. With our 15 years of industry experience, we’ve seen trees in all shapes and sizes, and in all conditions. We know what constitutes a danger to your property. We also have all the necessary equipment, such as Rayco stump grinders, Bandit wood chippers, and a fleet of tipper trucks that can deal with any tree problem you might have. 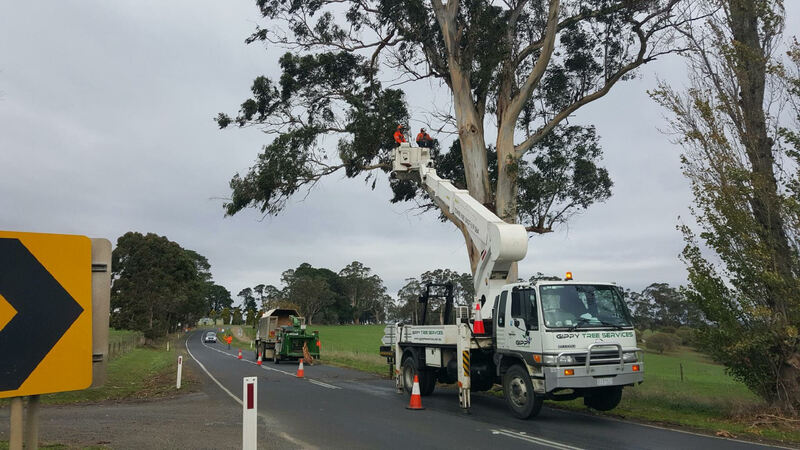 If you need the services of an arborist in Gippsland, then Gippy Tree Services are the people who can help. Give us a call today on 0437 619 064, or email info@gippytreeservices.com.au.